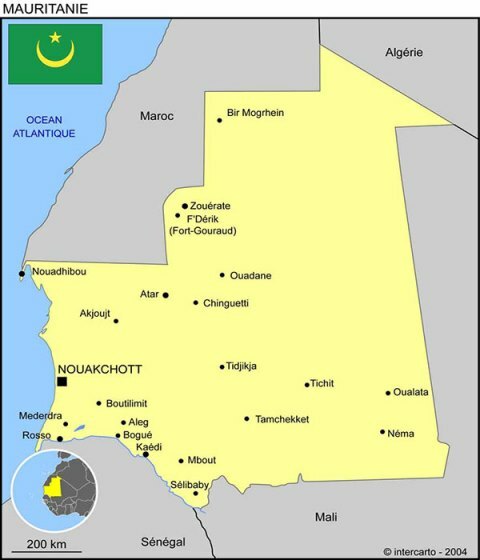 The Mauritanian opposition reached Thursday in Nouakchott an agreement on principles, ahead of the presidential elections later this year. "This is due to the pivotal place that the presidential institution occupies in our political system and the broad remits vested in the President of the Republic, and their political and moral impact on the course of events. “This important appointment comes against the backdrop of a worrisome regional and national context, not to mention the uncertainties and dangers hanging over the international scene,” the document continued. “With regards to the internal situation, in addition to the political crisis prevailing for many years due to the ruling majority, it carries with it the seeds of dangerous misconduct with the rise of tendencies of an ethnic and regional character with which the discourse of hatred and disunity is encouraged by the ruling majority, which is unable to find any appropriate solution to them,” the document went on. The opposition parties said “this sensitive situation requires that we all arrive to this appointment in a patriotic spirit and with a high sense of responsibility by placing the supreme interests of the nation above the particular interests. “It is only in this way that we shall be capable of reaching the goal of consolidating our nation in the face of the dangers facing the country, and to pave the way for a democratic and peaceful transfer of power through a consensual, free and credible poll”. "On the basis of the achievements accumulated over the last three decades of struggle and sacrifice and the achievement of the objectives of the democratic opposition, it is necessary to seize this historic opportunity to get our country out of the political crisis and to strengthen our democracy, national unity, social peace and political stability and, therefore, to look towards a safer future for our country,” the document added. “For the next presidential election to be a solution and step forward rather than a problem, it must be prepared and organized in a calm political environment capable of reassuring all stakeholders and restoring confidence among them. "One of the main causes of the political crisis that our country has been experiencing for years is the obstinacy of the ruling majority in place to unilaterally manage the electoral process and to exploit the means of the state for its own benefit and against other political actors ". The document concluded that legislative, regional and municipal elections have been a perfect illustration of this, but that the opposition's demands have so far remained unanswered, while the goal of democratic alternation requires a minimum that ruling party must achieve through, including the initiation of a dynamic of peace and normalization of the political atmosphere; by abstaining from the logic of confrontation; the demonization of the democratic opposition; the repression of peaceful demonstration; the arbitrary imprisonments; and, the abandonment of legal prosecution against certain opponents.